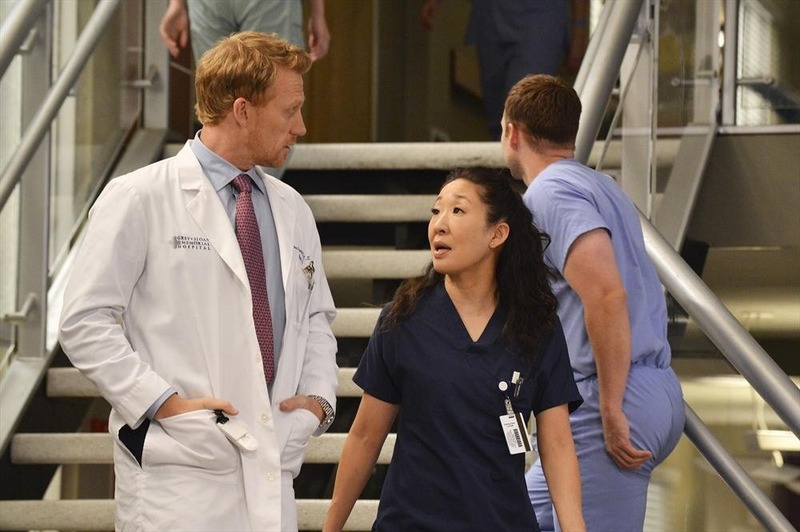 Grey’s Anatomy Ties ER As Longest Running Medical Drama! GREY’S ANATOMY – “Fight For Your Mind” – Photo by John Fleenor/Courtesy of ABC. ABC has ordered a fifteenth season of Grey’s Anatomy – which ties the show with ER as the longest running medical drama on television. ABC Celebrates 300th Episode of Grey’s Anatomy with Day of Greys! Leading into the 300th episode of Grey’s Anatomy on Thursday, November 9th (8/7C), ABC is celebrating the landmark episode with a Day of Grey’s. Day of Grey’s begins with Jesse Williams’ appearance on Jimmy Kimmel Live (Wednesday, November 8th) and continues with Ellen Pompeo’s appearance on Good Morning America, Live with Kelly and Ryan, The View and The Chew. Following the show’s 300th episode, Who Lives, Who Dies, Who Tells Your Story, Nightline will air an exclusive behind-the-scenes piece on the show with Michael Strahan. 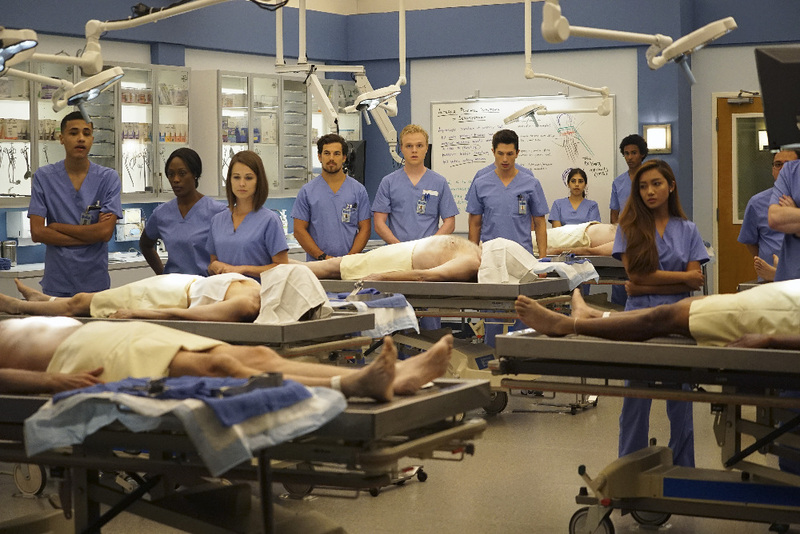 ABC Digital Studios Launches Grey’s Anatomy Web Series To Celebrate Show’s 300th Episode! Grey’s Anatomy: Post-Op – Nurse Gregory (Gordon James) – Photo by Erica Parise/Courtesy of ABC. ABC Digital Studios is launching Grey’s Anatomy: Post-Op, a six-episode web series, to celebrate Grey’s anatomy’s 300th episode. Post-Op will be hosted by Gordon James (Nurse Gregory on the show). Each week leading up to #300, James will be joined by cast and crew members to look back at some of the show’s most memorable moments. Each episode will also look behind the scenes of those memorable moments, too. Grey’s Anatomy: Post-Op goes live Wednesday, October 4th. Shonda Rimes Moves Shondaland To Netflix! Shonda Rimes, creator of ABC hits Grey’s Anatomy, Scandal and How to Get Away with Murder, is packing up her Shondaland production company and moving to Netflix. Current Shondaland/ABC shows will remain on the network – as will a couple of shows being developed by the network. ABC Announces Season Finale Dates! The 2017-18 network season is almost here and we have the season finale dates for your favorite ABC shows – from black-ish to Speechless, from The Catch to Toy Box. ABC Sets Exclusive Facebook Live Experience for TGIT’s Return! Fans of ABC’s TGIT line-up – Grey’s anatomy, Scandal and How to Get Away with Murder – will have the opportunity to take part in an exclusive TGIT Facebook Live Experience. Chandra Wilson (Grey’s Anatomy), Tony Goldwyn (Scandal) and Aja Naomi King (HTGAWM) will be answering fan questions during the live event which begins at 4:30 ET, today. Pre-Inauguration Special Pushes ABC’s TGIT Back a Week! ABC has postponed the winter premiere of its TGIT lineup to make room for the 20/20 pre-inauguration special won’t interfere with a full evening of Shondaland shows. The winter premieres of Grey’s Anatomy, Scandal and How to Get Away with Murder will now take place on Thursday, January 26th. What The…? Trailer: Grey’s Anatomy! After a season of perhaps a bit too much drama, it looks like the fun is back! Plus a host of eager new faces! Grey’s Anatomy (ABC, Thursdays, 8/7C) returns on September 24th. Check out the teaser after the jump. May Sweeps ABC: SHIELD Finale, Michelle Obama on Nashville, Dr. Yang Departs and More! May Sweeps is when most networks pull out their really big guns and ABC is no exception. Just a few of the highlights: First Lady Michelle Obama guests on Nashville; Sandra Oh and her character, Dr. Christina Yang leave Grey’s Anatomy; Modern Family’s Cam and Mitchell tie the knot; the town of Arcadia is torn apart (metaphorically at least) on Resurrection and Ward’s betrayal leads to huge consequences on Marvel’s Agents of S.H.I.E.L.D. There’s bad news, too: The Bachelorette is back; the way watered down Bad Teacher and the hopelessly inane (not to mention depressing) Black Box premiere, and every single host in its history turns up on The View for a reunion special (can you say overcrowded? I knew you could!). 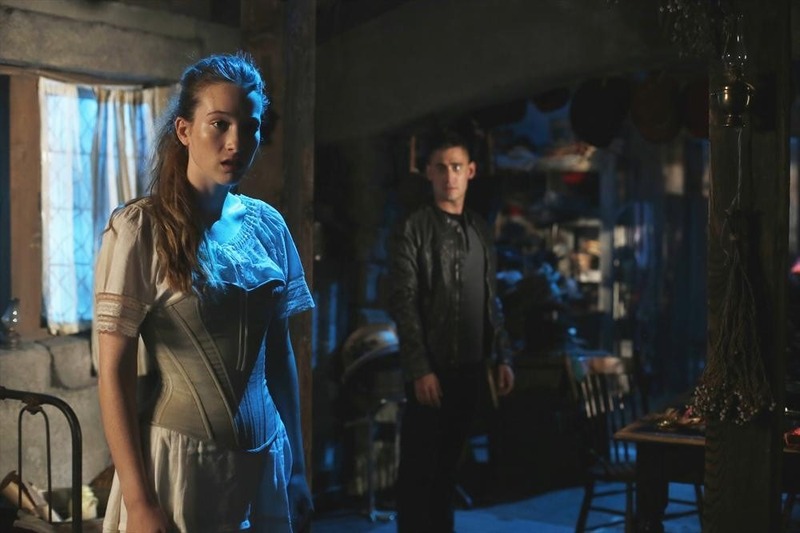 For an as-complete-as-it-can-be-allowing-for-the-vagaries-of-television list of ABC’s May Sweeps schedule (including taglines for most), follow the jump. It’s Binge Week at ABC! Beginning today and lasting through April 6th, ABC’s Binge Week is now live. For the next weeks, viewers can watch every episode of nine of the network’s shows online at ABC.com, the free WATCH ABC app and Hulu.com. 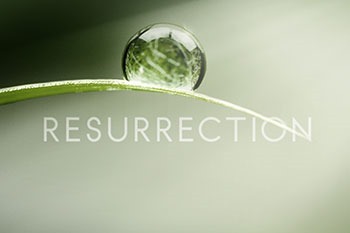 The shows being made available are: Resurrection, Grey’s Anatomy, Nashville, Betrayal, Killer Women, The Neighbors, Once Upon a Time in Wonderland, Trophy Wife and The Taste. The complete press release follows the jump. 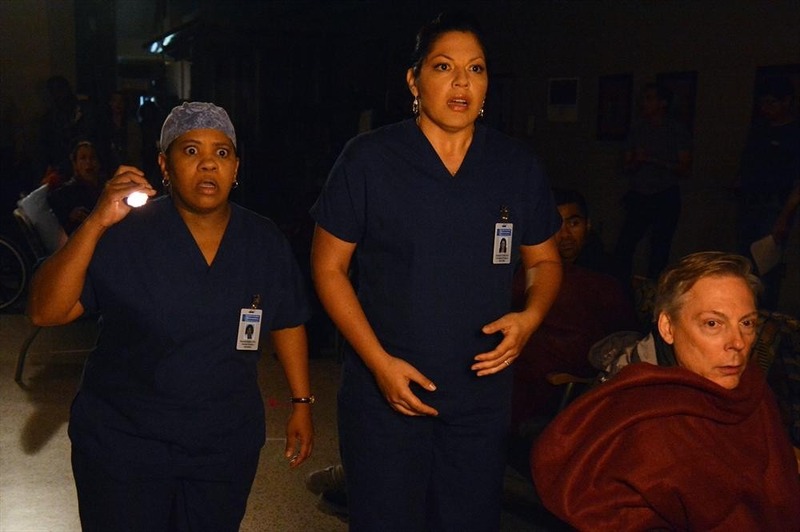 First Look: Grey’s Anatomy Season 5 Finale!